We are excited to be celebrating Summer of Socks this year at Baaad Anna’s! Our kick off event on June 26th was a great success. 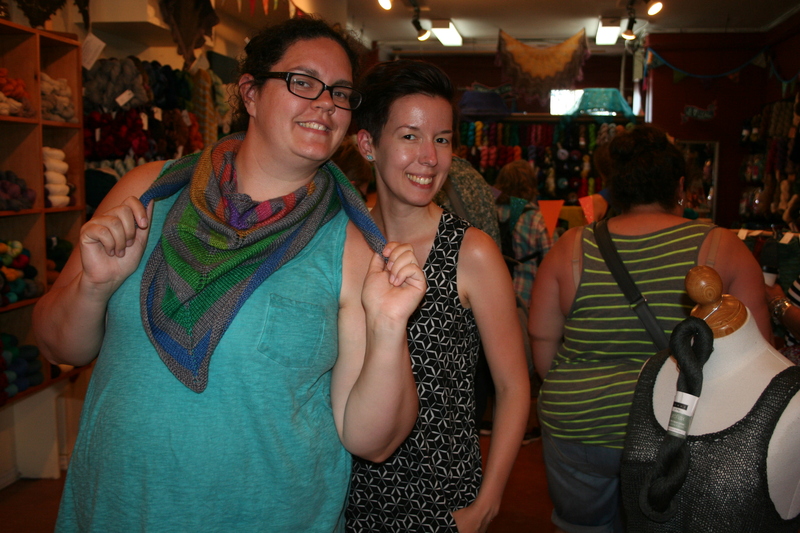 Alexa Ludman from Tin Can Knits was on hand signing the newly released book: Max & Bohdi’s Wardrobe. 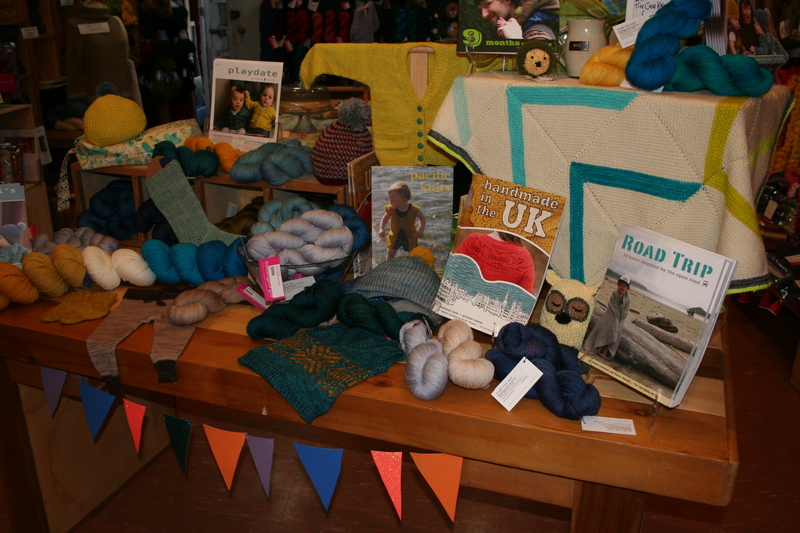 Tin Can Knits book launch at our summer of Sock event. Our door prize for the Summer of Sock Launch Party was won by Valerie who got her choice of a copy of Tin Can Knits newly published book Max and Bodhi’s Wardrobe or a $15 gift certificate to Baaad Anna’s. A big thank you to Alexa from Tin Can Knits for joining our festivities and donating our door prize. 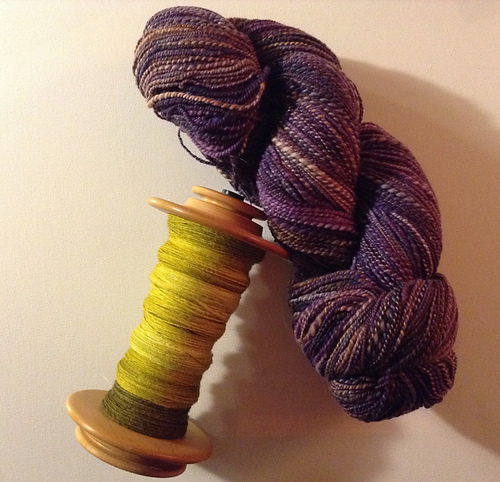 A belated prize for our Malabrigo Madness spin-a-long goes out to Grete, who spun up this lovely skein from Malabrigo Nube fibre in colourway Candombe. 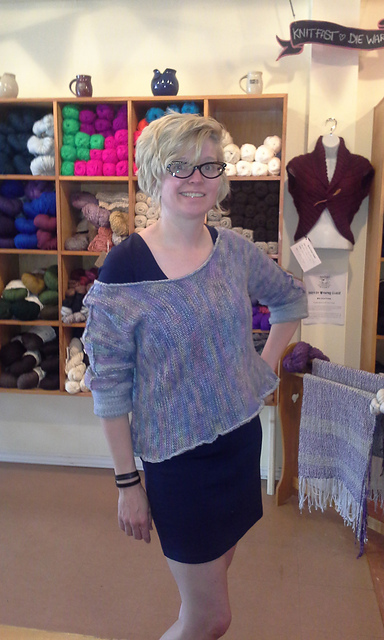 And Reagan won a skein of Malabrigo Worsted for her Malabrigo Madness knit-a-long entry of this lovely Stephen West sweater knit in the Kaleidos and Polar Morn colourways of the same yarn. The Summer of Sock event will have various other contests hosted throughout the summer, including a sock knitting contest… if you knit a pair of socks this summer, bring them in to the store for details on how to enter them for a chance to win a skein of our new summer yarn. Also there will be a prize drawing at the end of September from all of the names on our blog email list. To sign up and be entered, simply enter your email address on the left hand size of the front page of our website. You will get a short email whenever we publish a new blog about other summer of Sock events, so you can both be informed and win yarn! 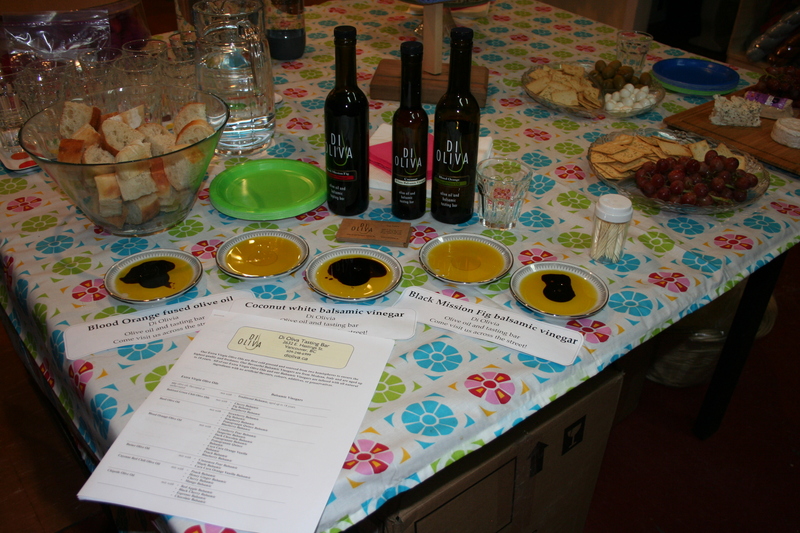 And a special thank you to Di Oliva who supplied the event with a most amazing set of Blood Orange infused olive oil, Coconut white vinegar, and Mission Fig balsamic. Check out this amazing tasting room just across the street from our store at 2632 East Hastings. ← Make Your Own YOTH Gradient!